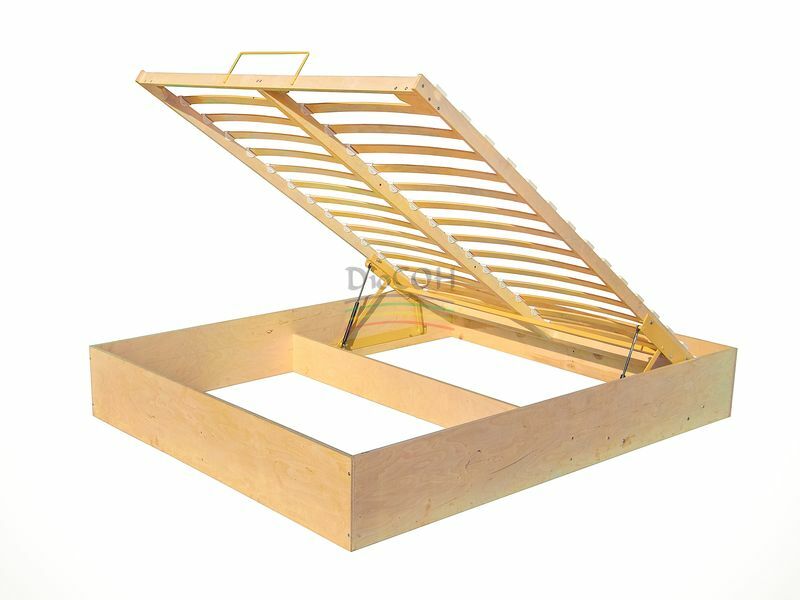 A flexible double bed base made of wood with a lift mechanism. A flexible double bed base-insert. A base frame is made of flat laminated birch beams with section 60x24 mm. The set consists of 2 air lifts, 2 matrass holders, a lift mechanism and a synchronizer of lift mechanism. A linen frame and bed underframe fasteners are not in the set.